Holley 130+ GPH (Gallons Per Hour) mechanical fuel pumps are designed for racing applications when maximum fuel delivery requirements are necessary. 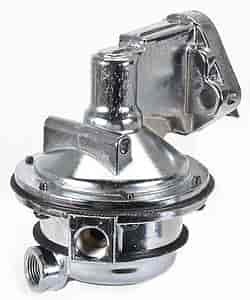 These fuel pumps feature a pump shut-off pressure which is pre-set for 7.5-9 psi. Unlike the 110 GPH Pumps, these 130 GPH pumps require a fuel pressure regulator. Does Holley 12-327-13 fit your vehicle?